Other than that, they've spent their life hung up in my wardrobe. DIESEL FAYZA. Size: W 29 / L 32. waist to bottom end= 26". inside leg = 15". This pair will create a lean silhouette and feature fading for that lived-in look. Size: W29 L32. Wash Code: 0664Q. Regular Slim Bootcut. Diesel – is an Italian fashion label, founded in 1978. Information Links. ONLINE SUPPORT. DIESEL FAYZA 0854U. size W23 L32 uk6. Relaxed Boyfriend. zip fly fastening with logo stud button. deep rear pockets with signature stitch. leg cuff trim.10" worn low crutch. (worn low hung). DIESEL Louvely. Zip fasten with two top buttons. Waist : 28" approx. Leg Opening : 19" approx. Thigh: 18" approx. Back Rise : 11" approx. In good condition checked all over washed and clean. 024..DIESEL KROOLEY APPLICATION 100% COW LEATHER BLACK JEANS(ON LABEL W 26L 34). IN GOOD USED CONDITION. SOME MARKS AND WEAR FROM USE. LABEL SAYS 26 BUT THEY SEEM LIKE A 28 PLEASE SEE PIC WITH TAPE. SEE PICS FOR HELP WITH CONDITION. Super slim skinny stretch low waist. Size 26w 32l. Great quality and a lovely fit. Colour: Multi. Due to the quality differentiation between different monitors, the picture may not reflect the actual colour of the item. Fitted through the thigh and break at knee to bootcut leg. White bootcut jeans from Diesel. Frayed detail on pockets, thighs & knees. DIESEL LOUVELY 008YF. LOUVELY 008YF stunning sequin detail. size W26 L32. W26 L32 uk 8. size; W26 32L. fit style; Bootcut, low rise. thigh 21"(10.5"flat). Fluid fade wash denim. Size: W 24 L30. Material: Stretch Denim. Rise : 7". Hem width : 5.5". Waist across the back : 14". Waist around: 29". I REALIZE THAT BUYING OVER THE INTERNET ISN'T EASY AS YOU CANNOT HOLD THE PRODUCT OR TRY IT ON. Black Denim. Cotton Lined (At Front Of Jeans). Grab yourself a bargain pair of Diesel Black Gold Label Rock Chic bargain jeans. Jeans Have 10" Zipped Side Vents. With Leather Trim. Black Gold Label. DIESEL Jeans W27 L30 Distressed Faded Slim Bootcut Fit Louvboot 0664S STRETCH. Condition is New with tags. Dispatched with Royal Mail 1st Class. 0606E joggjean. W29 uk12. Low rise,low slung,slim boyfriend,ankle crop. DIESEL EAZEE-NE. inseam 27" to fit 30-34"leg as designed. leg bottoms 11" all around. thighs 23" (11.5"flat). 90% cotton 8%polyester 2% elastane. Super slim skinny stretch low waist. Size 24w 30l. Great quality and a lovely fit. You want it ?. we aim to get it! Fashion is about dreaming and making other people dream. With great negotiating skills, we can negotiate the lowest possible price and pass the savings on to our BC Fashion fans! RISE (front)-17cm /6.8". from RUSSIA. Barely worn Diesel Bebel Wash 0070Z Leather Trimmed Jeans W28"L32"
RRP €150 Genuine DIESEL Women's Livier-Sp 003M9 STRETCH Jegging Jeans Size W24"
• Super Slim-Jegging / Low Waist Jeans. • Zip Fly Fastening. 100% Authentic! Colour: Claret Red, Bordeaux (Due to the quality differentiation between different monitors, the picture may not reflect the actual colour of the item ). DIESEL FAYZA. Size: W 27 / L 32. waist to bottom end= 26". inside leg = 15". Waist - 36cm / 14in. Bottom (leg opening) - 17,5cm / 7in. All our clothes are original and genuine. Category 5. Category 4. Category 3. Category 2. Category 1. 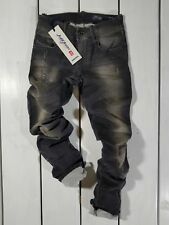 DIESEL Jeans W23 L30 Regular Waist Skinny Fit Made in Italy Doris 0670H STRETCH. Condition is New with tags. Dispatched with Royal Mail 1st Class. Total length: 39". Inside Leg 32". Color Blue. All Categories. Modified Item No.